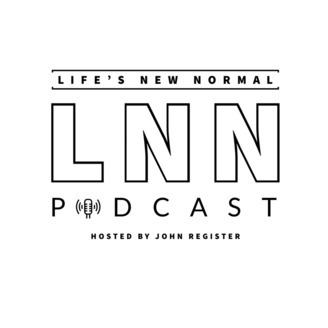 Life's New Normal Podcast introduces you to amazingly ordinary people who have overcome tremendous adversity and still find it in themselves to give back to others. Have you ever felt you were called to do more than what you are doing? Do you wish that it was you who was inspiring others? Have you ever wanted to create a new normal for yourself or those around you? Well if you answered yes to those questions you are in the right spot, and if you answered no, well, you are probably in self-denial. My name is John Register, Paralympic Silver Medalist, and I am your host. My Story I am a four-times all-American; two-times Olympic trials participant and U.S. Army Gulf War Veteran, who sustained an injury resulting in the amputation of my left leg. With the support of faith, family, and friendships, I hurdled the adversity and created a new normal mindset. Armed with this resilient mindset, I began swimming for physical therapy and wound up getting so fast I qualified for and swam in the Paralympic Games (games for people with physical disabilities). Four years later, I learned how to run again and became the first American to long jump over 17 feet without a leg or a knee and captured the silver medal at the Paralympic Games in the process. Now, as a keynote speaker and change management expert, and host of this podcast, "Life's New Normal," I am honored to introduce you to amazing ordinary people who turned their obstacles into opportunities. Their mindset is to live greater tomorrow than today. In short, they share with us how they created life's new normal. I hope you are inspired by each guest and take away tangible action steps to overcome the obstacles in your life. If you would like to learn more about me please visit my website johnregister.com and sign up for all my social media channels there. See you "On Air" -John John. Ashlei Reign, aka, "The Perspective Advocate, travels the world. But her most recent stop stopped her dead in her tracks and she confronted her own heritage. What was lost and what is gained. Though she came back with more questions than answers she continues to uplift, educate and enlighten her tribe to higher heights and deeper depths. In this episode we talk about the amazing trip she took with her father to Egypt and the new knowledge she returned home with. Ashlei is a former Emergency Medical Team Responder, a former police officer of the Oakland Police Department. She is also an amazing artist, hip hop Christian Rap artist, and lover of travel. Her wisdom blows the minds of all she comes in contact with. The world is a better place because of her existence. About the Host: John Register, CSP, Gulf War Army Veteran, Paralympic Silver Medalist, and professional keynote speaker who shares life lessons increases business leaders ability to connect more authentically with their teams. View John's speaking trailer by clicking here.